Since it was founded in 1988, Inclusion Europe has achieved many things. 1988: Inclusion Europe is set up under the name ILSMH-EA, which is the acronym for “International League of Societies for the Mentally Handicapped – European Association”. Tom Mutters becomes its president. 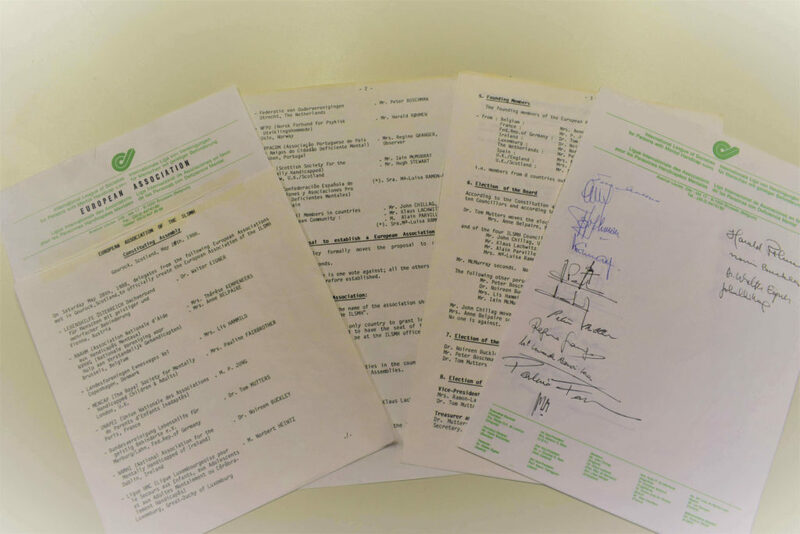 1991: Inclusion Europe adopts recommendations for community-based housing, committing all its members to work towards community-based living. 1992: Iain McMurray from Scotland is elected as the new president. 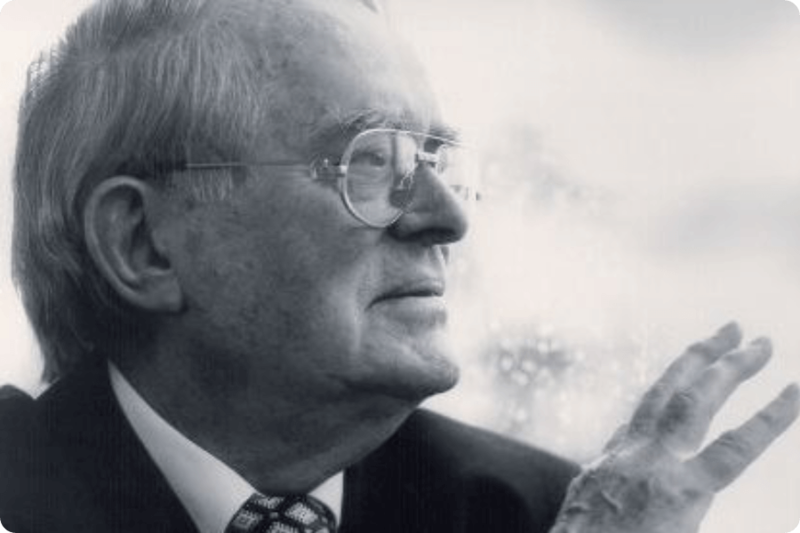 1995: John O’Gorman from Ireland becomes president. 1997: The first European Meeting of Self-Advocates is held in Durdent Court, UK. 1998: Thérèse Kempeneers-Foulon from Belgium becomes president. 2000: ILSMH-EA changes its name to Inclusion Europe. 2000: The European Platform of Self-Advocates (EPSA) is created as part of Inclusion Europe’s drive to be an inclusive organisation. 2000: Gianina Gendelon is the first self-advocate ever to address the European Parliament in Strasbourg. 2000: The newsletter “Include” is established. 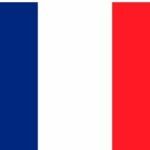 2001: Francoise Jan from France is elected as the new president. Ulla Topi from Finland becomes EPSA chairperson. 2001: Inclusion Europe publishes materials for making meetings and conferences accessible. 2002: Following the publication of the first ever Easy-to-Read guidelines in 1998, Inclusion Europe creates the Easy-to-Read Logo to make accessible materials easily recognisable for self-advocates. 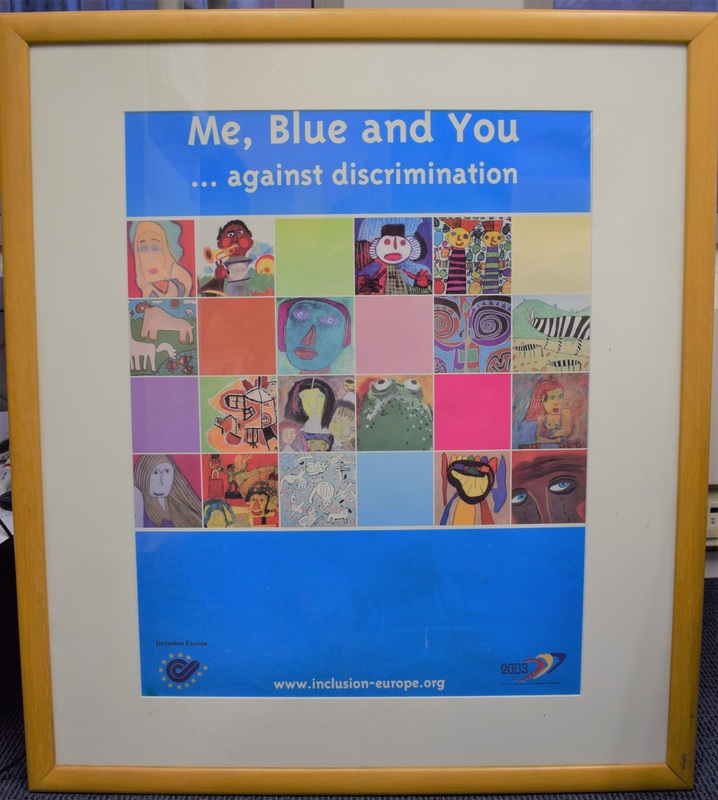 2003: Inclusion Europe’s art exhibition “Me, Blue and You … against discrimination” advocates for non-discrimination of people with disabilities and building an inclusive Europe. The exhibition is on display in Greece, Slovenia, Germany, Sweden, Estonia, Finland, England, Scotland, France, Portugal, Spain, Belgium, the Netherlands and Ireland. It is shown in very prominent places, such as the Louvre in Paris, the Foreign Ministry in Germany and the national Parliament in Slovenia. 2003: In the same year, the first conference organised by the European Platform of Self-Advocates is held, called “Empowerment. Together against Discrimination!” It is later to become “Hear our Voices“. 2006: Ingrid Körner from Germany replaces Francoise Jan as president. Andrew Doyle from Scotland becomes the new EPSA chairperson. 2006: The UN General Assembly adopts the Convention on the Rights of Persons with Disabilities and its Optional Protocol. 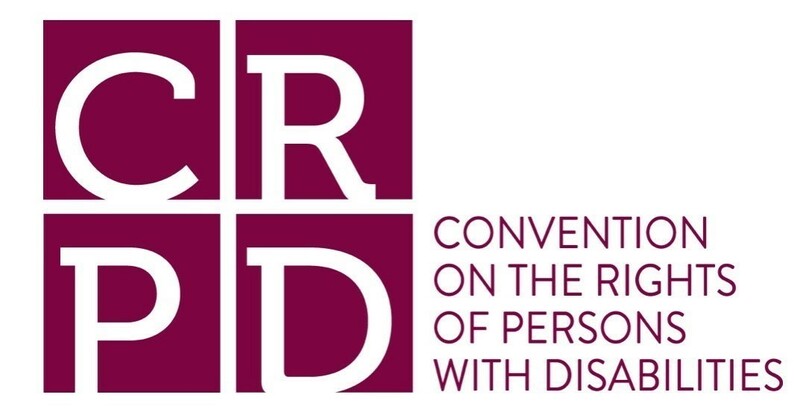 The Convention has a strong commitment to inclusive education, universal recognition of legal capacity as advocated for by Inclusion International and Inclusion Europe. 2007: The International Conference on Deinstitutionalisation and Community living takes place in Prague, Czechia. 2010: Ivo Vykydal from Czechia becomes the new president. 2010: Inclusion Europe develops an easy-to-read version of the new European Union Disability Strategy 2010- 2020, a key document for the European Union’s work in the field of disability. 2011: Maureen Piggot from the UK becomes Inclusion Europe’s new president. 2011: The Topside Project on developing peer support and training is launched. In the context of the project, a curriculum for teaching peer supporters and trainers is published. 2012: Senada Halilčević becomes EPSA chairperson. 2014: Inclusion Europe launches the Choices platform. 2014 & 2015: Inclusion Europe receives the “Zero Project” awards for “promoting Europe-wide quality standards for accessible information for persons with intellectual disabilities” and for its guidelines for accessible elections. 2017: Inclusion Europe’s board member Harry Roche speaks at the European Parliament for Persons with Disabilities. 200 persons with intellectual disabilities attend the event. 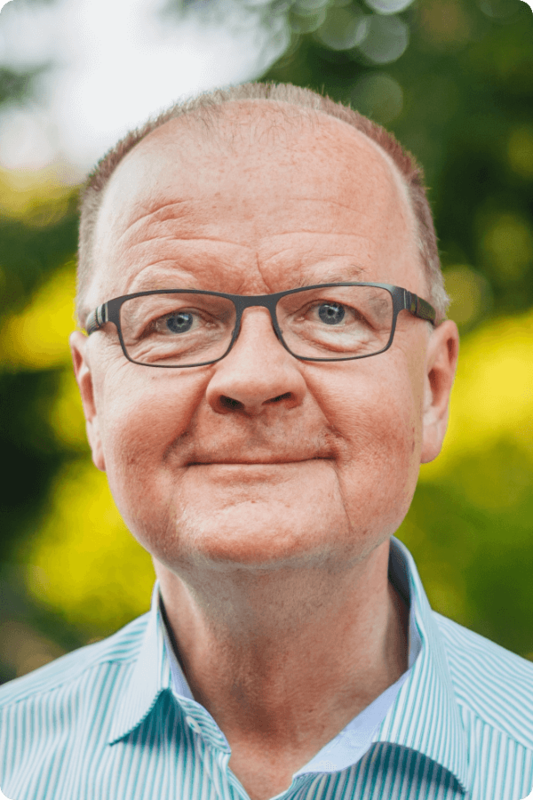 2018: Jyrki Pinomaa becomes Inclusion Europe’s new president. We fight for equal rights and full inclusion of people with intellectual disabilities and their families in all aspects of society. Respect for people with intellectual disabilities, their opinions and choices. 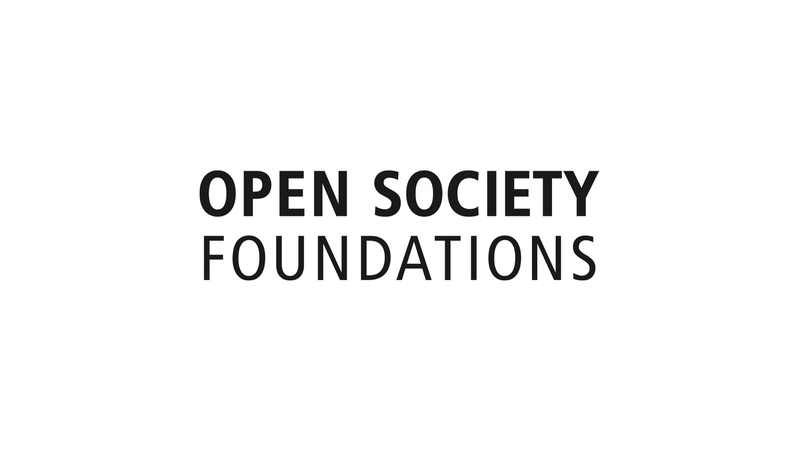 Solidarity between weaker and stronger persons, generations and organisations. Inclusion of people with intellectual disabilities and their families in all aspects of society as a result of respect and solidarity. 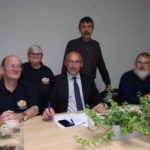 Inclusion Europe is a registered non-profit organisation under Belgian law (aisbl = association internationale sans but lucrative). It was founded in 1988. Our work and structure are governed by a registered Constitution and Bylaws. 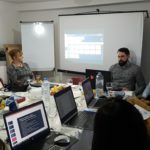 They define the membership criteria, the structure and the internal governance of the organisation and are adapted to changing requirements by decision of the Annual General Assembly of all members. Inclusion Europe has 74 members in 39 European countries.